If you like your martini shaken not stirred you'll love our latest offering... The Skyfall experience! This unique experience will allow you to experience the life of our favourite spy for the evening. Guests will begin with a martini, as is tradition, before trying their hand at poker and enjoying a mouth-watering three course meal high above the streets of the capital. But the highlight of the evening is sure to be the high speed boat chase up the Thames... and that's where we come in! In association with Altitude's Skyfall Experience, we are offering guests the unique opportunity to partake in a speedboat race inspired by our favourite Bond movies. The event, which is to take place throughout November at Altitude's Millbank Tower venue will see guests enjoy an evening of Bond themed indulgence in the heart of Westminster. Once guests have enjoyed their reception drinks, they will head outside where our RIB boats will be stationed at Millbank Pier, ready and waiting. Once on board guests will be taken on the experience of a lifetime, soaring up the Thames to the headquarters of MI6 and back down the river to glide past the corridors of power in Westminster. 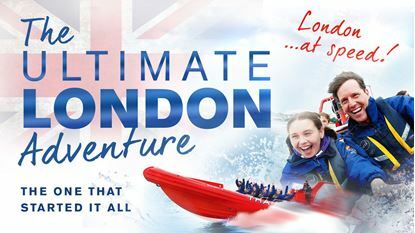 They will then power along the Thames at speeds of up to 35 knots, for an adrenaline rush that's sure to get hearts racing. This once in a lifetime experience is perfect for any Bond fan, and is rounded off by a private screening of the latest Bond film, Skyfall.